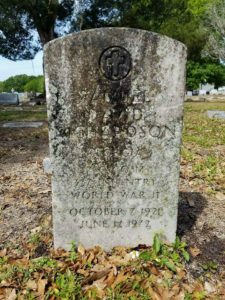 Andrew Lumish, The Good Cemeterian, spends his days uncovering the true meaning of Memorial Day. 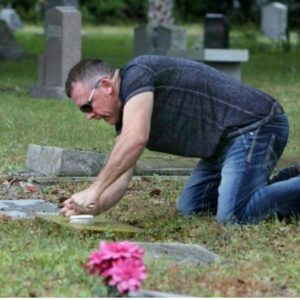 He takes pride in meticulously cleaning tombstones of America’s fallen heroes and restoring them to their former glory. With little more than water, a toothbrush and determination, Lumish brings to life, once again, the story of those who made the ultimate sacrifice. 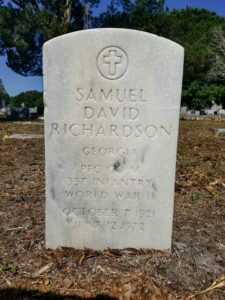 Lumish uncovers the marker of their final resting place but he also researches each individual to reintroduce them to the world and highlight their selfless lives of service. This Memorial Day, may we pause to remember the fallen and honor the true meaning of this day. May we also be thankful for men like Andrew Lumish who volunteer their time to show gratitude for the freedom which we recognize is in no way free. 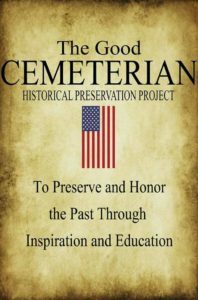 If you’d like to support The Good Cemeterian non-profit, you can find more information on Facebook by clicking here. For your own tombstone cleaning recipe, visit the About tab.